The Annual Planning Meet (APM) has become a regular feature in the calendar of MSB schools. On the 9th and 10th of February 2018, the 8th APM was held at Badri Mahal under the auspices of MSB Idarah (Department). The educational and managerial heads of 17 MSB centres converged to brainstorm challenges, share their best practices and celebrate achievements. Kiosks were constructed for each centre to display their creativity in teaching. All participants gained valuable insights and ideas and returned intent on raising the teaching-learning bar at their respective centres. 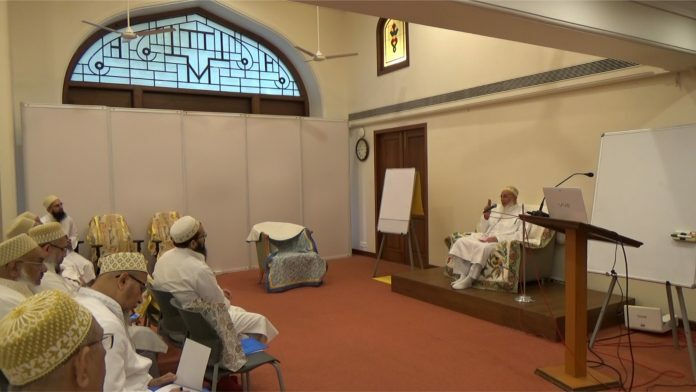 Mukasiro Da’watil Haq Syedi Aliasgar bhaisaheb KalimuddinDM and Shahzada Husain bhaisaheb BurhanuddinDM graced the meet with their august presence and words of inspiration and encouragement.